After its US premiere in July, Wish Upon has finally made its way north. Unfortunately, it was’t screened for critics – no worries, it happens. I paid $7 to see Wish Upon and, let me tell you, it’s a pretty good $7 movie. That’s not to discredit Wish Upon; I actually dug its “Twilight Zone for preteens” take. But considering how flimsy this harmless film can often be, it’s more of an appropriate matinee or home rental where the stakes are lowered and the audience is a bit more forgiving. Under the direction of John R. Leonetti (Annabelle) and using a screenplay that mixes horror with genie fantasy, the film hands high schooler Clare Shannon (Borealis’ Joey King) a special box that grants the teen seven wishes. This artifact is gifted to Clare by her widowed father Jonathan (Ryan Phillippe), whose dumpster-diving hobby is evolving into a case of hoarding. The box’s powers start to come alive when Clare is humiliated by Darcie, a “mean girl” at school; motivating Clare to, off-handedly, wish the bully would “rot”. When Darcie starts to literally fall apart, Clare and her fellow outsiders Meredith and June (Sydney Park and Stranger Things’ Shannon Purser) are shocked. Well, maybe not Meredith. Meredith celebrates Darcie’s emergency room visit and the potential amputations, making Meredith intensely more unlikeable than Darcie. The audience soon finds out that with every granted wish, a blood price has to be paid. At first, the deadly box starts picking off animals and the elderly (how rude), but the number of possible victims becomes slimmer as Clare makes more wishes. Wish Upon shows us plenty of uncomfortable situations, but making sure to hold back on the violence to secure its PG-13. The formulaic values are expected, but the narrative falters when Clare wishes for a reversed death. Luckily, this is somewhat fixed by a warped consequence and a melancholic ending that actually surprised me by how disciplined it was. 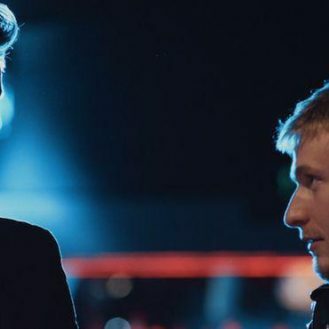 It also helps that John R. Leonetti – an experienced cinematographer – gives the film a gothic facelift that allows the modern story to adapt an effective, uneasy atmosphere. The only time the tension is broken is when Phillippe appears on-screen to divulge in his lost love for playing the saxophone and during a distracting 30-second flashback starring an uncredited Jerry O’Connell. No matter what they’re paying or where they’re watching Wish Upon, older audiences will be too jaded to enjoy themselves in yet another “haunted box” flick. 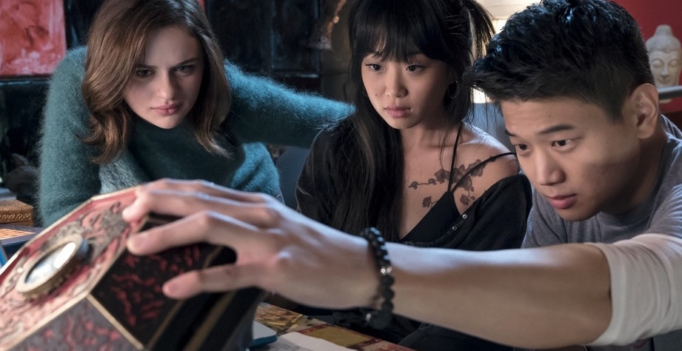 Wish Upon is certainly geared for that younger crowd who will come for the cheap thrills and be surprised by how compelling the movie really is.